Entrepreneurs face lots of challenges in managing their business. One of the major challenges they face is to manage clients with limited staff. 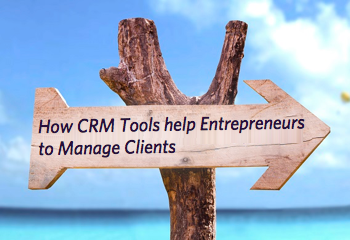 Nowadays, with lots of tools available in the market, managing clients has become easier. But, another problem is that there are so many CRM tools available that entrepreneurs usually get confused with which one is better and which one is more helpful. Here are the following features, your CRM tools should have to serve as your business toolkit to manage clients. This allows you to record each and every detail of your customers at a single platform. You can record Client's name, contact number, Email address, business address and Personal address all in one place. It should also enable you identify your prospective clients, current clients and valuable clients. This feature of CRM tool will ensure you never miss any appointment with a client or prospective client. it is extremely necessary to make your customers feel important. Work diary will ensure you never miss any task whether it is to call any client or meeting or any other tasks. CRM tools will allow you to generate quotation/invoice for your clients. Also, you can track invoices whose payment is due. It will help you get the idea of how much payment in the pipeline and you can follow-up your client. 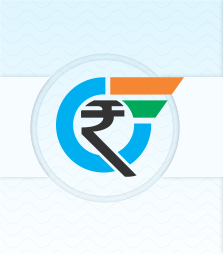 It will also help you track the payment mode of your clients, i.e. some clients pay by cheque, cash or NEFT. CRM tools allow you to record the conversations and notes. This will let you track what was offered in the past, customer's sphere of interest his demands and requirements. Ultimately this will make your customer feel special and help you build a strong customer relationship. A cloud-based CRM will enable you to access the information about particular client minutes prior an appointment and also enables you to update client details on the move. While marketing, when you send email to your clients and prospective customers, it is very important to avoid being generic, make them feel special in a way that your email sounds personal and have a good call to action instead of using too many technical terms. Record response of email marketing campaign in CRM system. This enables you to track who opened the email and who responded on your call to action. This will help you tailoring your next campaign. In every business, there are a number of documents and agreements that requires to be stored accessed and update from time to time. The document storage section in your CRM will allow you to store all these documents in one easily accessible platform. You can store anything from user guides, proposals, agreements, documents, tenders, training modules and all the other important documents required for your business. Having these 6 basic and simple feature in one central CRM will help you streamline your business and help you manage your clients more effectively. It will help you staying competitive and building brand loyalty. MeraCRM is an innovative tool. With years of great experience in sales, marketing and customer management, our expert team understand every facet of customer relationships and the importance of securing customer intelligence.